Standing on a plastic bottle-littered beach, a group of earnest young people led by Sarah Catherine Hook holds plastic water bottles and sings a silly song about harmony with the environment. Onto this scene strides Game of Thrones’ Thor “The Mountain” Bjornsson carrying a singing sea turtle — voiced by Rod Stewart – to re-educate the well-meaning group. This video from SodaStream International garnered 10 million views in the first 48 hours after it went live on November 15. The campaign clearly is promoting the Israel-based maker of countertop sparkling water machines with reusable bottles — recently acquired by PepsiCo — sold at more than 80,000 retailers across 45 countries. But in tandem with the new SodaStream-sponsored FightPlastic.com website, the video also is promoting awareness of the massive marine damage caused by single-use plastic bottles. That’s a cause celebrities are comfortable promoting. SodaStream CEO Daniel Birnbaum noted that more than 8 million metric tons of plastic goes into the ocean every year, and close to 1 million plastic bottles are sold each minute. “This plastic doesn’t disappear. It breaks up into tiny particles, floats in the ocean, endangers marine life and ends up in our food chain,” he said. In October, Birnbaum led the first-known attempt of a commercial company to undertake a physical clean-up of trash from open waters. In October, SodaStream launched the “Holy Turtle” off the Caribbean coast of Roatán, Honduras. 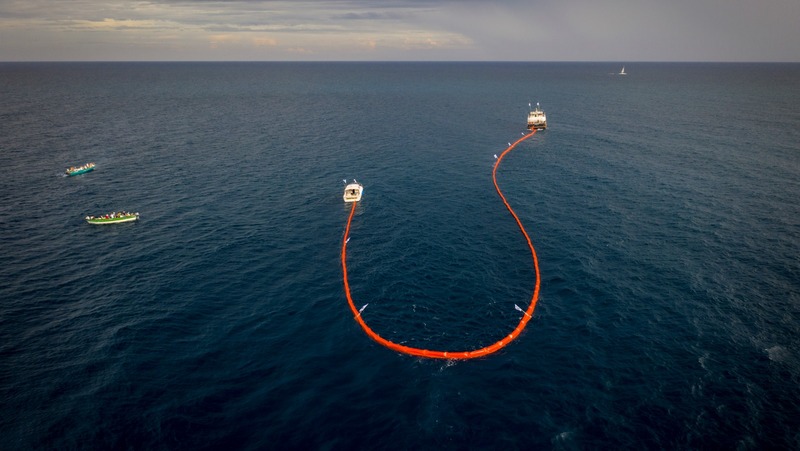 Holy Turtle is a 1,000-foot-long floating unit towed by two marine vessels to capture bobbing garbage – most of it plastic waste — with large vent holes to avoid trapping sea creatures. The device was inspired by oil-spill containment systems and was developed for SodaStream by ABBCO in Florida. For Holy Turtle’s maiden voyage, Birnbaum came to Honduras along with 150 SodaStream executives from 45 countries, international environmental specialists, and representatives of the NGO Plastic Soup Foundation. They were joined by Honduran government officials and hundreds of local schoolchildren. The plastic pollution collected by the contraption will be used to create an exhibition to encourage consumers to think twice before using disposable plastic cups, straws, bags and bottles. SodaStream spent about $1 million on this initiative, expected to continue through the efforts of the Hondurans.